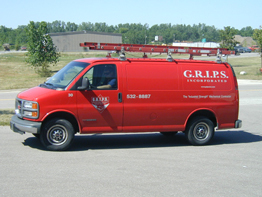 "saving the world one class at a time"
G.R.I.P.S., is dedicated to providing our employees with the most up to date safety and technician training available. Service techs are licensed and certified HVAC technicians. G.R.I.P.S., Inc. has partnered with Model Safety to train and certify our employees to meet and exceed MIOSHA requirement.